What better way to enjoy sushi than eating sustainable fish? Sustainable fish is fish caught or farmed in ways that consider the long-term well-being of the species and the oceans. In this day and age, with so many environmental hazards and pollution all around us, it is extremely important to not only research where our fish is coming from, but also to focus on the importance of preserving the natural sea life that still exists - without taking away more than what we need from the ocean. Bamboo Sushi, founded in 2008, was one of the first sushi restaurant to focus on certified sustainable fish in the hopes of changing the way we eat fish and how it impacts our environment. With millions of sushi eaters around the world, sustainable fish is a way to enjoy your favorite sushi hormone-free and free-range caught or from local farms. Would I prefer sustainable fish over regular sushi restaurants? The answer is yes! Of course I would! Anything that helps to prolong our delicate ocean and sea life definitely gets a thumbs up from me. What is even more amazing is Bamboo Sushi’s preparation and recycled materials that are used for the utensils which come from environmentally friendly and renewable energy sources. In their restaurants, the tables, bars and even chop sticks are created from consumer waste. 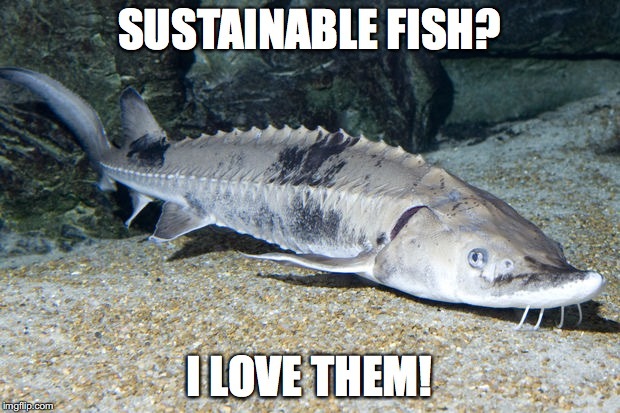 There is no better way to enjoy your food than the sustainable fish way. This is an amazing way of eating sushi and has grown in popularity because we’ve become more environmentally conscious and health conscious. Locally, Kanaloa Seafood in Oxnard, CA also serves sustainable fish. Other sustainable fish restaurants across the U.S found are Tataki Sushi and Sake Bar in San Francisco, Miya Sushi in New Haven, Connecticut and Mashiko Japanese Restaurant + Sushi Bar in Seattle. Bamboo Sushi has locations in Denver, Colorado, Seattle and Portland, Oregon. You should try it for yourself, you'll never settle for anything less again!